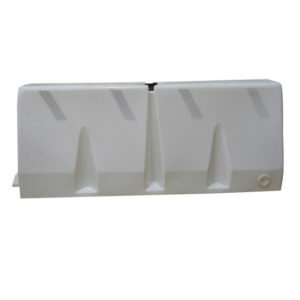 Plastic TB-6T Traffic Barricades | Diversified Plastics, Inc. 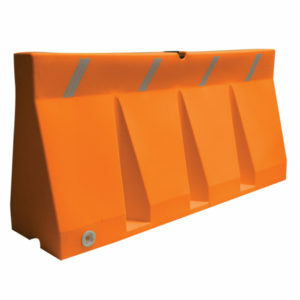 These TB-6T Traffic Barricades can be used for many different purposes. 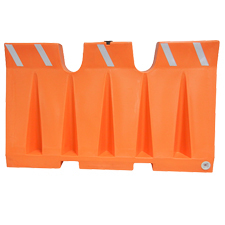 These rugged plastic traffic control barricades are shipped empty but can be easily filled with sand or water. The interlocking joints of the plastic traffic control barricades connect multiple units together easily. Our plastic traffic control barricades meet OSHA height requirements for hand rails and come in a variety of colors, such as orange, white, yellow and green.